WACO, Texas (CBS/AP) After convicting ex-pastor Matt Baker of murdering his wife, jurors will hear new evidence - possibly about sexual advances toward other women - as the punishment phase begins today. 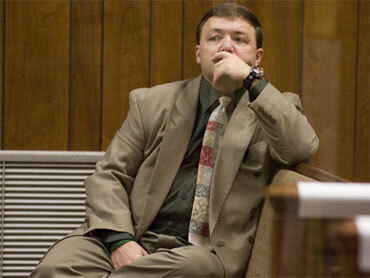 Photo: Matt Baker waits in court during his murder trial on Jan. 20, 2010 in Waco, Texas. The 38-year-old former Texas minister faces up to life in prison for drugging and suffocating his wife, Kari, then faking her suicide note in 2006. Jurors deliberated more than seven hours before finding him guilty late Wednesday. Photo: Matt and Kari Baker. Prosecutors notified defense attorneys before the trial began that they planned to present evidence that Baker made sexual advances toward the other women, including some underage girls, over the past 18 years. Testimony about the allegations could come during the sentencing hearing, as they were mentioned only briefly during trial in a vague comment by his ex-mistress, Vanessa Bulls. The case almost never went to trial. Kari Baker's death was originally ruled a suicide, but authorities reopened the case several months later after her parents shared evidence obtained for their wrongful death lawsuit against Baker. 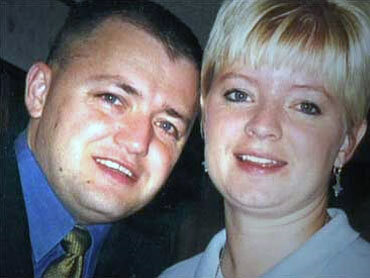 January 19, 2010 - Erin Moriarty: Matt Baker Lied to Me, But Did the Texas Preacher Kill His Wife?